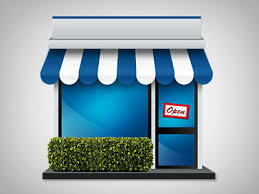 Owning a small business can be extremely rewarding, should be extremely rewarding. It can be started at a low cost and on a part-time basis. It can provide independence and freedom to choose how you operate. Most often though, entrepreneurs work long hours and customers become the boss. It can be difficult to get out of the office to work on your business and not to get stuck working in your business. There is another option to hiring a part or full time employee who will expect employment for a reasonable amount of time, and at a cost to you. A Professional Organizer can be hired on a contract and ‘as needed’ basis, allowing you to only spend the money until the work is done. Here is where Organize Once can help. Have piles of paperwork that need to be sorted and filed? Need some sort of system in place for managing the office, your desk and your employees? Have data entry that is long behind and needs to be caught up? Unopened mail that needs to be attended to especially near tax time? Is your home & home office piled up with to do’s that you cannot get to from clutter? Perhaps you need some help, some time freed up for family, more community involvement or just to yourself. Whether 2 hours, 2 days or 2 weeks, we would love to help and look forward to your call for an assessment of your space. Let’s reclaim the freedom that your small business should allow you! This entry was posted in Uncategorized on January 13, 2015 by organizeonce.